Open your Boom! Smoothie Fast Pack. Drop the frozen fruit and veggies into your blender. and watch it all spin. Boom! 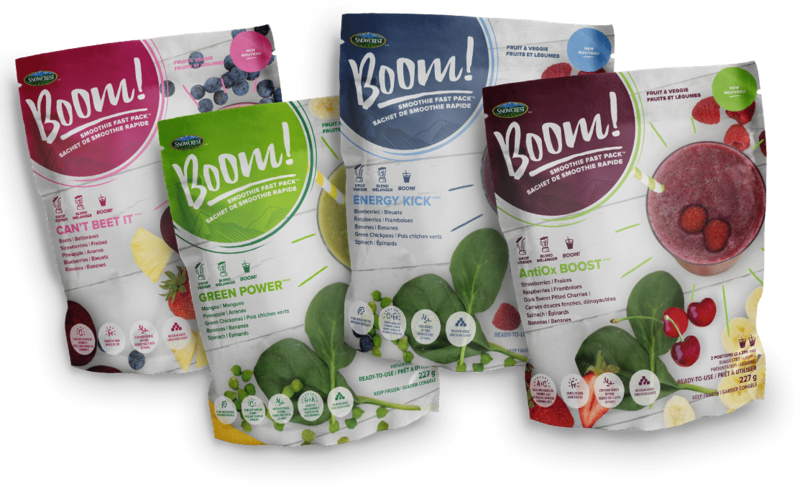 Smoothie Fast Packs are the perfect balance of fruit and vegetables, prepared with only 100% fresh frozen pre-mixed fruits and vegetables. No added sugar or preservatives either!